Each day, thousands of teenagers lose interest in their education, skip school, refuse to work or do their chores, become involved with drugs and drop out of school. Many become involved in criminal activities. Nearly all of them will eventually come to the attention of law enforcement. The following are a few alarming facts. Mental health problems affect one in every five young people at any given time (U.S. Department of Health And Human Services, Substance Abuse and Mental Health Services Administration, Center for Mental Health Services). An estimated two-thirds of all young people with mental health problems are not getting the help they need (U.S. Department of Health And Human Services, Substance Abuse and Mental Health Services Administration, Center for Mental Health Services). Recent studies show that, at any given time, as many as one in every 33 children may have clinical depression. The rate of depression among adolescents may be as high as one in eight (Center for Mental Health Services). Managed health care in this country has become big business. As a direct consequence, the relationship between consumers and health care providers has been increasingly eroded by dangerous cost control practices, restrictions of care, treatments based on business decisions rather than professional decisions, and finally, by managed health cares creation of incentive systems where medical and mental health service providers make more money by providing less care. The services covered by insurance or provided by HMOs for "youth at risk" have been increasingly restricted and eliminated over the past decade. As a consequence of managed health care policies, many behavioral and social problems that children experience are being medicated rather than effectively managed or treated. Parents searching for alternatives to medicating their children for social and behavioral problems are turning to wilderness therapy programs when "office" therapy, residential treatment, psychiatric hospitals and criminal justice programs fail. Parents seek out wilderness therapy programs to help change their family and child's life for the better. In some cases, parents are trying to save their child's life from drugs, dangerous sexual activity, child abuse, criminal influences and other form of potential violence. Determining whether or not a particular child will benefit from a wilderness therapy program is the most important decision that a parent can make. Wilderness therapy programs have developed over the past 10 years as alternatives to traditional "treatment" approaches that are failing or inadequate to the challenge of adolescent behavioral problems. Even though wilderness therapy programs are growing in acceptance and research is under way, they must be investigated carefully. There are a number of challenges facing parents. Many parents exploring the wilderness therapy option have not yet received comprehensive mental health services for their child. Selecting a wilderness therapy program requires that parents understand how these programs work. They must investigate a range of programs thoroughly, and they must select a program that has the resources to meet the needs of their child. Selecting a wilderness therapy program is not easy and parents should be suspicious of programs that will admit children without thoroughly screening a child and without giving parents necessary information about the program. Providing adequate information is a professional and ethical obligation that is commonly referred to as "informed consent." In order for parents to give consent to allow their child to be enrolled, they must be fully informed about the program's structure, their policy and procedures, the benefits and risks, the potential problems that students and parents may encounter, as well as a range of potential outcomes. Many wildness therapy program do not routinely give this level of information. Parents should take an active and assertive role in becoming fully informed. Identifying wilderness therapy programs that are safe. Identifying the child's problems or potential problems. Identifying programs that have the resources to address the child's problems or potential problems. Identifying your goals and the most likely outcome from a program. The above four step process can be followed by parents, a child's caregiver, or by mental health professionals and educational consultants making referrals. Consultation with a mental health professional or educational consultant that is personally familiar with wilderness programs is highly recommended. There are three categories of problems. They are behavioral, psychological and medical. Determining the category of problems that your child is experiencing will help you identify the best program for you child. Failing to recognize a medical problem or failure to provide the appropriate treatment can reduce the likelihood of a program succeeding and in some cases can result in a pattern of decompensation or a failure to thrive while the child is in the program. The program's expectations of a child, the necessity of medical attention or monitoring, and appropriate concern for necessary follow-up care can be crucial services for children who have special needs. Parents exploring wilderness therapy programs frequently have children who are placed on medications which are used primarily as a "behavioral restraint". Medications used to treat seizure disorders and manic depression are frequently used to sedate and limit destructive and impulsive behavior that is the result of a behavioral problem. A common problem is the use of antidepressants to treat "depressed" behavior that is really the result of a low level thyroid that was not recognized. Some children who supposedly have attention deficit problems without hyperactivity have been found to be in an early stage of diabetes. Most of the medication problems are the result of parents taking their child to physicians who are not trained in psychiatry or by taking their child to a psychiatrist who is not trained in adolescent or child psychiatry. It is a common practice in managed health care to require family physicians to try and treat psychiatric problems. Referring "out" to psychiatrists is considered an extra cost and not necessary in the view of managed health care - especially if the child seems to get better (or the parents think the child is better). Working with adolescents who have psychological problems is not the same as working with adults. Many children with impulsivity and anger will "look better" if they are placed on an antidepressant that has sedation as a side-effect. In many cases, the drugs used on children and adolescents are not yet approved by the Federal Food and Drug Administration. Many drugs that are being used on children were designed for adults and have not been tested on children. The long term effects are not known. The most common problems that children experience are behavioral, but there may be psychological or medical issues. The fact that a medication changes behavior does not mean the problem is psychological or medical. Here are examples of common problems that are faced when a students is enrolled in a wilderness program. The child is enrolled with a behavioral problem that is currently being sedated or restrained with medications that have a tranquilizing or sedating side-effects. For example, children who are depressed and angry at their parents following a divorce are frequently placed on antidepressants. The child is placed on an antidepressant for an an unrecognized hormonal or neurological problem that is the real cause. For example, children who are overweight, hypothyroid and hypoglycemic can end up being placed on antidepressants like Prozac and Paxil. The child has a behavioral problem and the psychological or medical problem has not been diagnosed. For example, the child has been treated by a counselor and has not had a complete evaluation by a psychologist or physician. The child has a behavioral and psychological problem for which they have been placed on the wrong medication or too much medication. For example, the side-effects of a medication at a particular level is that of a powerful tranquilizer that reduces angry and impulsive behavior. The child is on three medications in which the toxic side-effects of one medication is causing new symptoms that are being treated with a third medication. For example, The child is may be placed on a powerful antipsychotic tranquilizer like resperidone because of the side effects of another medication like neurotine which is having a disorganizing effect on thought processes. Investigating these two area can be accomplished by parents, a child's care giver, or by mental health professionals and educational consultants. Again, consultation with mental health professionals or educational consultants who are familiar with wilderness programs is highly recommended. Wilderness therapy program can be categorized in terms of three factors. The three factors are duration, program structure and services. Fixed Length . By far, most wilderness program operate on schedules in which the program begins on a specified date and ends after a specific duration of time. In some cases, additional time can be negotiated on a daily rate or a set amount of money for a fixed amount of time - usually additional weeks. Scholarships and discounts are usually not advertised. In some cases a discount is offered on an individual basis, but there may be no official application process. Open Length. There are very few programs that operate with an "open" length duration for one set fee. Once your child is enrolled in an open length program, your child remains in the program until their problems are addressed as fully as possible and they are ready to graduate. The duration of the program can be matched to the child's needs. Some open length programs do offer discounts for deserving students and parents. The following is a brief over view of components that can be used to describe the structure of a wilderness therapy program. Brief Assessment/Intervention. (21 to 30 days) Programs are available that offer a 3 or 4 week assessment and intervention. The assessment is usually behavioral and the intervention is brief. These programs offer a lower overall cost, but not necessarily on a per day basis. In some cases, student will need to attend the program twice. More often than other programs, the brief assessment/intervention programs tend to recommend student attend boarding schools, retake the program or that students be placed in transition or foster homes. Some brief assessment programs are owned by a network of programs that include therapeutic boarding schools. Fixed Length (45 to 60 day programs). Depending on the program, fixed length programs provide a 45 and 60 wilderness experience. Students usually enter the program knowing when they will graduate. The programs are highly behavioral in nature and the clinical focus is usually minor. A few programs have qualified mental health professionals to evaluate or monitor potential clinical problems. Open Length. These programs operate under the philosophy that each student will grow and learn at different rates. Students are graduated when they are ready and students generally do not know when they will graduate. For all intents and purposes, the average stays in these programs can range from 60 to 110 days with longer stays up to 260 days. There is usually a minimum stay. Programs with a "guarantee". A few program offer a "guarantee" which is really just a contract agreement that the program will re-admit the student later with no additional tuition cost if the problem behavior returns or the student relapses. Such promises can range from one to two years. There is usually an administrative fee which is used to cover the cost of new equipment, food, transportation and readmission costs. Special Needs. There are only a very few programs that offer a special needs program. These programs have a stronger clinical focus that may include clinical evaluation and treatment services for mild developmental disorders, mild neurological problems, depression, anxiety, obsessive compulsive disorder, or other behavioral problems that are not severe but require intensive evaluation and intervention. Program services are usually provided and directed by licensed and qualified mental health professionals. Emotional Growth Focus. Emotional growth programs have a long history of providing emotionally challenging and supportive environments for students. The programs are traditionally run by non-mental health professionals, and in some programs, mental health professionals are not allowed to work in their programs. However, due to the high number of children with mental health disorders, and others who are also on medications, these programs have slowly involved mental health as a component of their programs. Nearly all programs today have a mental health professional who will consult with the program or staff. These professionals may not be licensed or qualified to get a license. Evaluation and Assessment. Few program offer evaluation and assessment services. Some programs offer behavioral assessments which are based almost entirely on the observation of field staff or counselors. Even fewer programs will conduct a screening based on standardized interview procedures and the use of psychological questionnaires. Very few programs offer intensive evaluations. An intensive evaluation would normally include personality, intelligence, academic achievement and behavioral assessment. Counseling and Therapy. 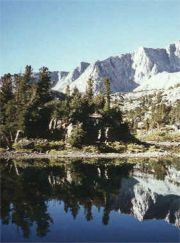 The counseling and therapy services provided by wilderness therapy programs will vary. The level of training and licensure of people providing therapy and counseling services will also vary from staff who have no training or license to professionals who are highly trained, experienced and licensed. Virtually all programs provide "counseling" and "therapy" by field staff, but this would not qualify as professional counseling or therapy. Only a few programs consistently provide counseling and therapy by licensed, trained and experienced professionals. Individual and group therapy are additional components of a counseling and therapy program that enhance the power of a program. The first, adventure based learning, involves students in activities that may include hiking, mountaineering, camping, climbing, or river rafting. The adventures may involve the use of a great deal of equipment or the minimal equipment necessary for the adventure. Teamwork and individual efforts set up as activities and are contrasted. The group, trek or expedition in these adventures face numerous challenges, trials and ordeals which become the basis of building self-esteem, improved social and interpersonal interactions, and self-discovery. The second area of activity in a wilderness therapy program involves an emphasis on outdoor camping, hiking and survival skill training. This model place students in natural and social settings where students must face the "inevitables" of life. Students are give supervision and training appropriate to level of need. The goal is to help student recognize inappropriate and destructive behaviors through an internal alignment with nature. Students are exposed to nature, the elements, challenges, trials and ordeals in terms of a strategic and safe program of adversity, temptations and consequences that are based in nature. Staff interactions are supportive and provide guidance. Punishment and abuse are not permitted under any circumstances (but you need to confirm this during admission). The program supports the evolution of natural, necessary and imposed activities such as firewood gathering, food preparation, cooking and shelter constructions that are all necessary within a primitive group living condition. Students undergo psychological and behavioral changes by facing the "inevitables" of life, recognizing their potential, appreciating the importance of family and cooperation, and by discovering that parental supervision has a important role in their life. Academic Education. Wilderness programs tend to emphasize non-academic outdoor education that includes camping, outdoor survival skills, teamwork, mental health and facing the inevitable adversities of life. Only a few program offer academic education for enrolled students. Parents and professionals referring to wilderness therapy programs may be concerned that students do not fall behind in their education and may also want students to improve their academic standing. In some cases, academic achievement is really a secondary concern for parents who are dealing with their child's behavior and psychological state of mind. There are four sources of academic credit. The first would be free standing state accredited programs. At this time there are no free standing state accredited programs, but accreditation in the near future is possible for several programs who are pursuing such accreditation's. There are only a few programs who operate alternative schools that are affiliated with State accredited school. Such program offer fully transferable credit. The third source of accredited academic work are the programs that are registered with the sponsoring State's Department of Education. These programs can offer high school transferable credit, but it will be the decision of the school offering a diploma to accept these credits. It is extremely rare that a program's credit will not be accepted. Prior to, or immediately after admission, parents can usually negotiate for acceptance of credits on a case by case basis. The fourth accreditation process is found with school who provide academic curriculums through correspondence programs sponsored by other states. These programs offer fully transferable credit. Identifying the unique characteristics of a program is an important step toward the decision to place child in a wilderness therapy program. Many of the questions that parents and referring professionals need to ask are related to the program's operation and safety. The following is list of questions that can tell you a lot about programs. The answers to these questions, and the programs ability to answer these questions, should help you get to know the unique characteristics of programs. Is the person responsible for admissions and screening your child a qualified mental health professional or are they supervised by a qualified professional? Does the program offer an educational and academic program for your child? Does the program provide parents with an overview of the policies and procedures? How often and who provides parents with updates on their child's progress? Does the program provide family counseling or parent skills training while the student is enrolled in the program? Is there a follow-up program where the program provides support and monitors your child's progress? Does the program provide a brief resume or background information on all staff who are working with your child? Does the program provide you with the level of education, experience and licensure of professionals providing and directing services? Are counseling and therapy staff trained, experienced, licensed or supervised by a licensed professional? Can the program monitor, evaluate and dispense medications? What level and type of assessment and evaluation service does the program offer? Can you speak with or reach someone in the program on a daily or 24 hour basis? What is the graduation criteria for the program? What is the philosophical and research basis that defines how the program operates? What is the minimum training that staff receive and how often are staff trained? Does the program measure your child's behavior before and after the program? The fourth area of importance will depend in large part on the goals you may have for your child's future and the likely outcome of a program. In most cases, the program you choose will automatically define the most likely goal or outcome for your child. Programs that are less than 30 days have a lower rate of returning students to their homes and frequently recommend further treatment, boarding school placement or out-of-home (foster-care) placements. Approximately 50% (or less) of these students are returned home. Programs with a fixed length generally do not make recommendations, one way or another, that a child should be sent home or to a boarding school. Such decisions are usually made by parents or parents who are already working with educational consultants who specialize in working with youth at risk. Students who graduate from open length programs are frequently sent home unless the program and the parents feel their child has special needs that are beyond the families ability to provide. The initial goal in an open length program, unless otherwise set by parents, is almost always for the child to return home. There are four areas of importance when investigating and selecting a wilderness therapy program. The first area of concern involves the cost and duration of the program, educational opportunities, experience and licensure of the people directing and providing services, the range of services provided, the level of supervision and guidance that students receive, and the therapeutic group activities in the program. Follow-up and monitoring the child's progress when they graduate can be very important to insuring success and preventing relapse. Secondly, the intensity, duration, frequency and type of activities students experience must be matched with the specific needs of a potential student. Students with special needs (psychological or potential medical problems) should be enrolled in programs that have a clinical focus and qualified mental health professionals working with your child who are competent to evaluate, diagnose and monitor your child's progress. The structure and purpose of program activities must be clearly defined. Staff training is a crucial part of a safe and effective program. Third, the unique qualities of the program are those factor that make parents feel comfortable and willing to entrust their child's emotional and physical well-being with others. This would represent a match between the parent's values and expectations for their child with the resources, attitude and philosophy of the program. Parents should feel confident and in touch with their child's progress while they are in the program. The program should feel caring and not impersonal. Fourth, and finally, a credible program will have a list of parents who have offered to speak with parents considering enrollment. The list should not be "loaded" with parents who will attest to "miracles." Many parents will tell you that their child is not perfect, is still a teenager, and still requires a high degree of parental supervision and guidance. Children still get into trouble and make mistakes. What most parents will tell you is that their child is far better off, the "at risk" behavior in their child's life has dropped considerably, and that their child has demonstrated remarkable growth. Parents should ask to speak with a parent of a child who relapsed and did not seem to benefit from the program. Hopefully, such parents can tell you that they felt the program did the very best they could and that they would still recommend the program to parents with difficult children.